Family life is a challenge for many of us these days. Even with two parents in the home, it can still become a “juggling act” to meet all the needs for each child present. Yet, within the busy framework of family life, how often are the siblings without autism encouraged to sit down and express their genuine feelings about their brother or sister who does have autism? How much do they fully comprehend about autism? Does anyone in the family take the time to go beyond simply stating that one of the siblings has “autism” to fully explaining the world of autism to the siblings who don`t have it but live with it daily? Siblings given a secure, nonjudgmental setting in which to express themselves, can report conflicting emotions about their sibling with autism and the impact on family dynamics. They may have developed distorted notions of what it means to have autism in the real world. Many parents devote significant attention to the care and education of a child with autism. A lack of understanding can cause the siblings who are non-disabled to feel detached from their families, overlooked and unappreciated in the family structure. Professionals in the field of autism can assist siblings with coping with fears, questions, and concerns about their sibling who has autism and about the autism itself. It is important for such children to realize that other families have members with autism and may be experiencing similar situations and parallel feelings. Throughout the years that I have worked with students with autism and their families, I have discovered a number of ways to assist siblings with feeling closer and more comfortable with the lives of their brother or sister with autism. Such assistance is not limited to the use of these 10 ideas outlined below but are presented as a framework, a basis for additional creative activities. Many local communities have support groups for their parents. Some school districts offer such support groups as well as PTA Councils. 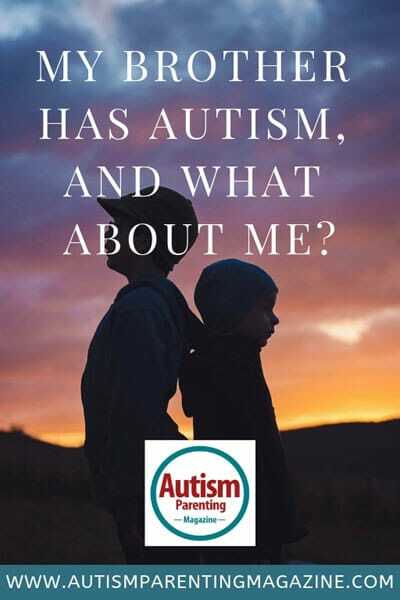 Consider joining such a group and encourage them to investigate the topic surrounding siblings who have a brother or sister with autism in their home or even attending the same school with It can really assist parents with understanding the needs of siblings by interacting with other parents who are also dealing with this issue in their homes. Informed and educated parents can provide valuable assistance to their own children both at school and at home. It is amazing how many siblings that have a brother or sister with autism have never visited their actual classroom. It will be important for parents to create a positive working relationship with educators. Schools and teachers could be encouraged to sponsor a special open house for siblings who have a brother or sister with autism. This would allow siblings without autism an opportunity to see where their brother or sister studies at school, an opportunity to interact with teachers, sit at his/her desk, to witness his/her work displayed in their classroom or any of the materials they use to be successful during the school day. Parents who are active in the school can support the idea of a well-designed bulletin board as a good source of readily accessible information about autism. Teachers, administrators, counselors and para-professionals working with students who have autism can assemble lively, interesting presentations that present autism in a positive and productive manner. Such topics could include assistive technology for effective communication, sign language or a presentation on famous people with autism. Such displays will allow siblings without disabilities to be surrounded by a wealth of information on a daily basis. Most communities offer a wealth of valuable resources for parents and schools that serve students with autism. Parents can work with the school system to invite adults with autism to come to the school and talk about their own experiences with autism, their education, their employment and contributions to the local community. Siblings without autism can be invited to discuss the realities of growing up with family members with autism. A panel discussion including people of various backgrounds can help siblings without autism to explore a wide range of thought-provoking questions dealing with autism as well as the way it affects the dynamics of a family. Educators are well aware that a well-produced dramatization often has a far greater impact on their students` sensibilities than just reading a book. Fortunately, many excellent educational films dealing with autism can be accessed on the internet. Ideally, a teacher or parent could select a good film, show it to the siblings, and follow up with a lively discussion of the issues involved at home or in a school setting. Parents could work with their local school counselor to develop a Sibling Club at their local school. Siblings that have a brother or sister with a disability could be invited to join this club. Students could learn about various disabilities in a safe and nurturing environment. They can discuss their feelings in regards to having a sibling with a disability and how that impacts them at school and home. It will be encouraging for them to hear other siblings share their stories of challenges connected with their siblings with a disability. It will allow them to comprehend that their current situation may be shared with other children living outside their home. The library can be a primary source for students wishing to learn more about autism. 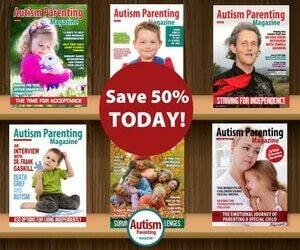 Parents and teachers can ensure that a wide variety of books on autism are available on the library shelves. Encourage the librarian to order books on autism and lend or donate copies of the books you have found most helpful. Reserve one library bulletin board for lists and displays of good books about autism. A number of new titles deal with challenging issues for families in which at least one family member has autism can be displayed. An excellent book written by Kirsti Evans is entitled Something Different About Dad. It gives great insight into the family dynamics of a Dad with autism dealing with his wife and two children and is written in a comic book format. Parents of children who have autism should make a point every year to observe Autism Awareness Month in April. They could go to the schools of their children and offer to do special presentations. This will emphasize for siblings the fact that their brothers or sisters with autism are seen as an important part of the school. Bringing special treats to the school to share will also catch the attention of the students with and without autism. Try to include the non-disabled siblings in as many of these activities as possible with their brothers and sisters who have autism. Staging a play about some aspects of autism, with a cast of both students with and without autism. Post a daily trivia question about autism on a bulletin board and award small prizes to each day`s winner. You may be in a situation where attendance at certain community events makes it difficult to bring your child with autism. Some children with autism do not do well within loud environments, large groups or have difficulty transitioning to a new event such as going to the zoo, circus or even the park. You never want to place the sibling in a situation where they are informed that you can`t go to the amusement park because their brother or sister has autism and it is just “too much” for them to deal with. This may cause siblings to resent their brother or sister with autism due to the feeling that they are all being “punished” by not attending certain events. Some parents will take turns on who stays at home and who takes the siblings out for the evening if they are in a situation where the child with autism cannot attend. Some parents can take advantage of respite care in order to get a night out by themselves or get the necessary chores taken care of in a timely manner. Using respite care is definitely not a sign of weakness or something to feel guilty about. As part of the Autism Awareness Month in April or any time throughout the school year, encourage your school, the special education department, art department or English department to sponsor a contest for posters or poetry surrounding the concept of autism. Announce a provocative topic; such as Famous People With Autism, or People With Autism Can Do Anything. 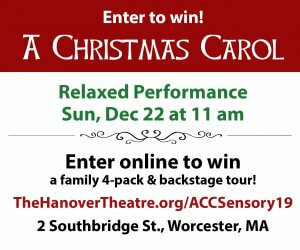 Offering prizes for the best entries at each grade level will encourage students to do some valuable thinking and research about the lives of their peers with autism. Evans, Kirsti. (2011). Something Different About Dad. Jessica Kingsley Publishers. Philadelphia, PA.
Ron Malcolm, EdD is an Assistant Director of Special Education for a public school district and an Associate Faculty Member with the University of Phoenix. He has bachelor degrees in English and Special Education. He holds master level Degrees in counseling, special education and school administration. His doctorate degree is from Northern Arizona University in Educational Leadership. 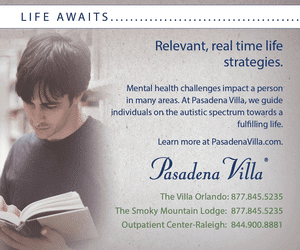 His post-graduate degrees are in Positive Behavior Supports and Autism Spectrum Disorders. He has worked for the past 34 years with students between the ages of three to 21 with Autism in various school and community-based settings. Ron Malcolm is an assistant director of special education for a public school district. He is also an associate faculty member at the University of Phoenix and a special graduate faculty member at the University of Kansas. 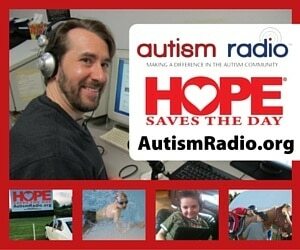 He has been serving the educational needs of children with autism for the past 34 years.